Many of our customers come to us with favourite old armchairs that have often seen better days, despite often still being structurally sound. A great example are Parker Knoll armchairs –this famous brand has been in existence for over 140 years and have a hard-earned reputation, so it’s no surprise that owners of their armchairs don’t want to part with them just because the fabric or foam require renovation. Our experienced craftsmen are able to recover and repair Parker Knoll armchairs as required, with a choice of hundreds of fabrics available to suit all styles and themes. We have extensive experience in working with Parker Knoll furniture so know exactly what is needed to ensure your refurbished piece both looks and functions as new. 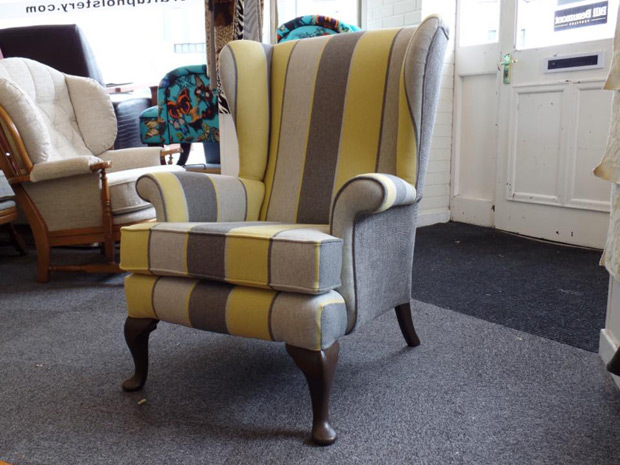 Simply contact us with any questions or request a quote and we can make your armchair look as good as new.